This exhibition brings together the work of four artists who each examine botanical subjects in their own, distinct way. Nerys Johnson’s jewel-like paintings seem to radiate light. Delicate petals and leaves shine against a deep, inky darkness, glowing like stained-glass windows. 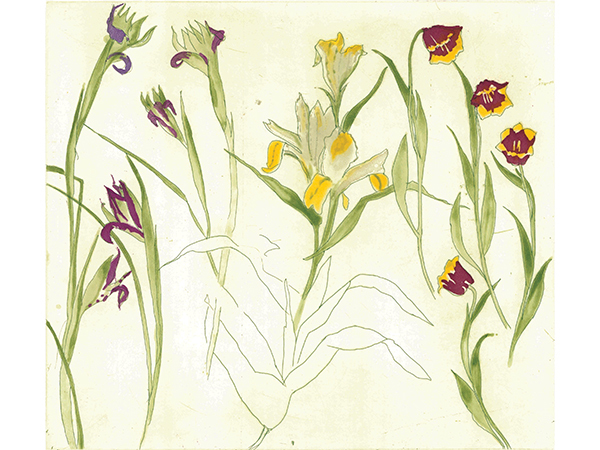 Their intense vibrancy is balanced by Elizabeth Blackadder’s cool, considered printmaking. Her carefully composed pictures have a lyrical quality. Influenced by the Zen principles of her travels in Japan, they appreciate the importance of the empty space around a subject. David Pearson’s intricately detailed plant studies present both the rare and the familiar with almost scientific precision. Rather than using plants as an artistic device, these images serve as portraits of a specific flower, leaf or fruit, celebrating their uniqueness. While Pearson draws on the natural world, Effie Burns delights in the fantastical, exploring the balance between natural and man-made. 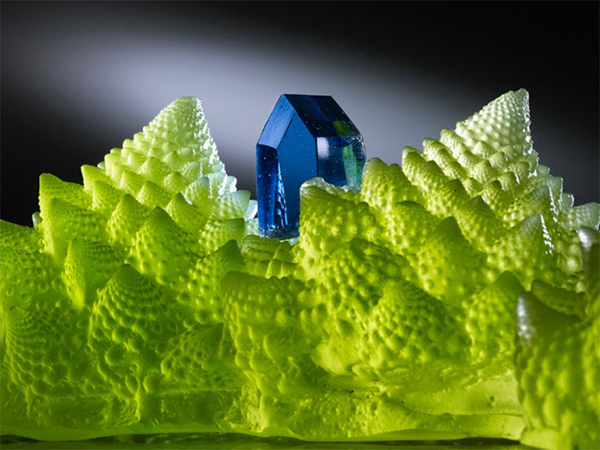 Glass casts of exotic brassica are the building blocks of her dream-like landscapes, resembling scenes from unfamiliar fairy tales. The works in this exhibition go far beyond looking at plants as a source of beauty. They continue to develop our ancient fascination with the world around us, and offer new interpretations on what we see.